Visitors have accessed this post 189 times. 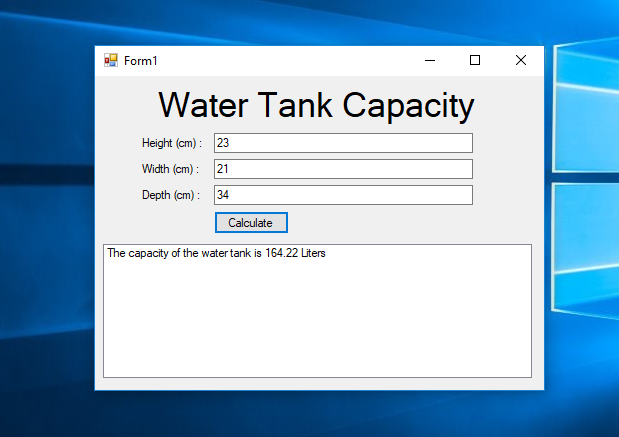 In this tutorial I will teach you how to calculate the capacity of a water tank using vb.net. You maybe have water tanks at home or in any infrastructure; it is a large chamber used for storing water and it comes in variety styles. And you might need to calculate the water tank to make sure that your water source provides enough water. Take a look at the procedure below to find out how. 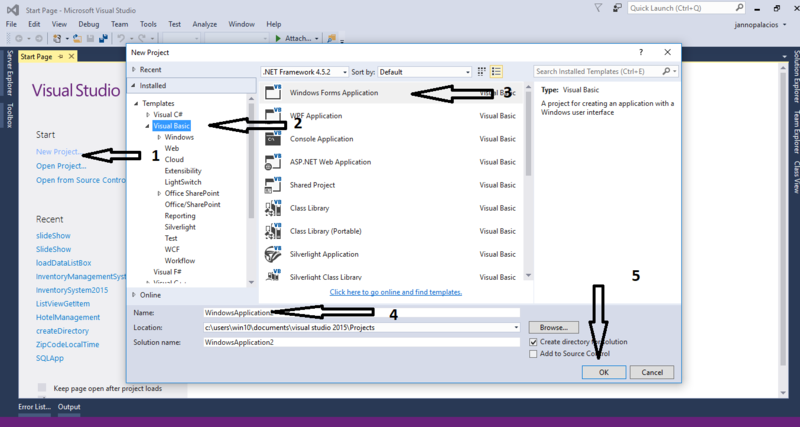 Open Microsoft Visual Studio 2015 and create a new windows form application. 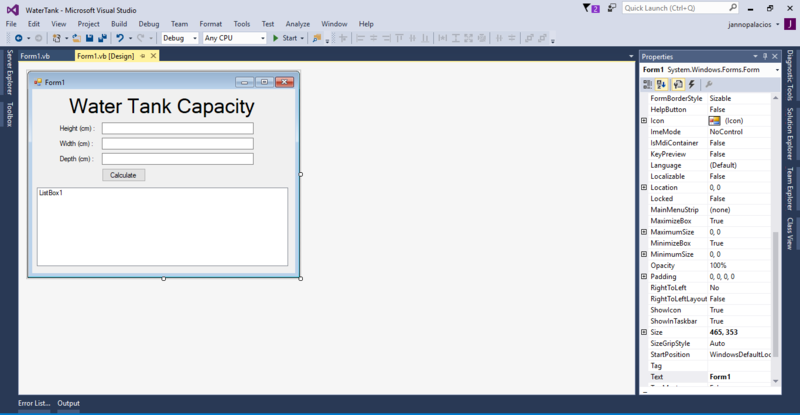 Double click the “Calculate” button and do the following code to calculate the tank capacity when the button is clicked.